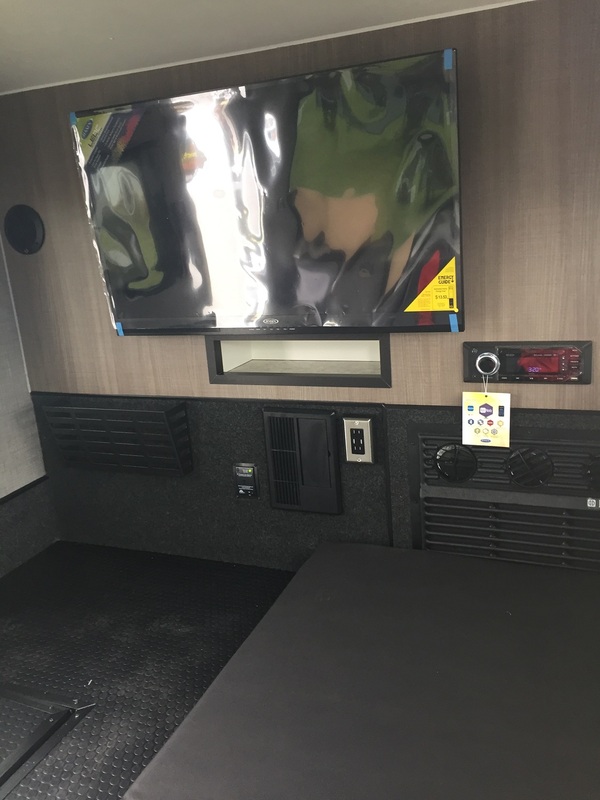 Continuing from part 1 of my trip to the Elkhart Open House, I moved on to what I believe to be one of the better up and coming small manufacturers today, inTech RV. InTech has been around less than 10 years, but their quality I’ve seen thus far puts them near the top of the heap of some of the larger teardrop manufacturers. While their teardrops aren’t teardrops in the form of a traditional shape, they are with respect to their size and function. inTech’s Flyer line includes submodels Chase, Pursue, Explore, and Discover. 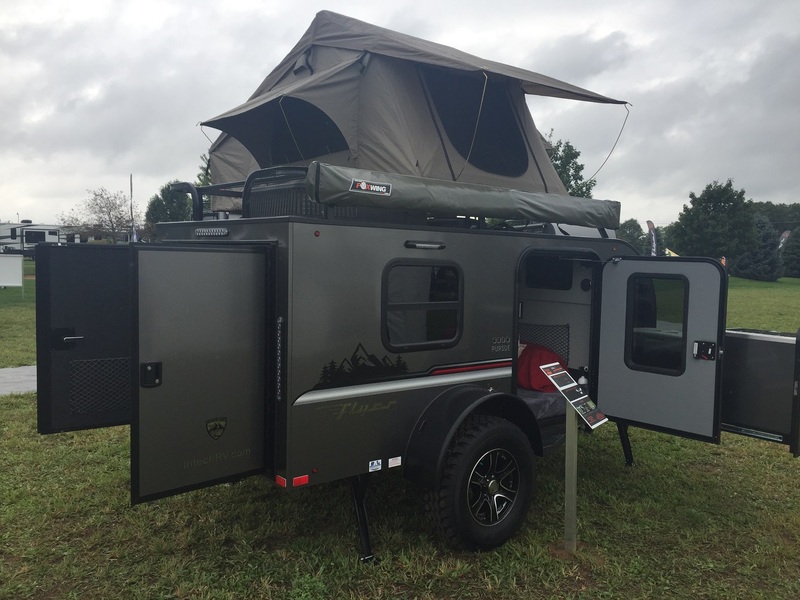 Weights range from 850 lbs on the Chase to up to 2050 lbs on the Discover, which is their toy hauler touting an impressive 7000 lbs GVRW. inTech introduced one of the most unique teardrop styled trailers you’ve likely ever seen: the Luna. There are several trailers this thing reminds me of. I see bits and pieces of an Airstream Basecamp, a Vistabule, and a T@G in it. 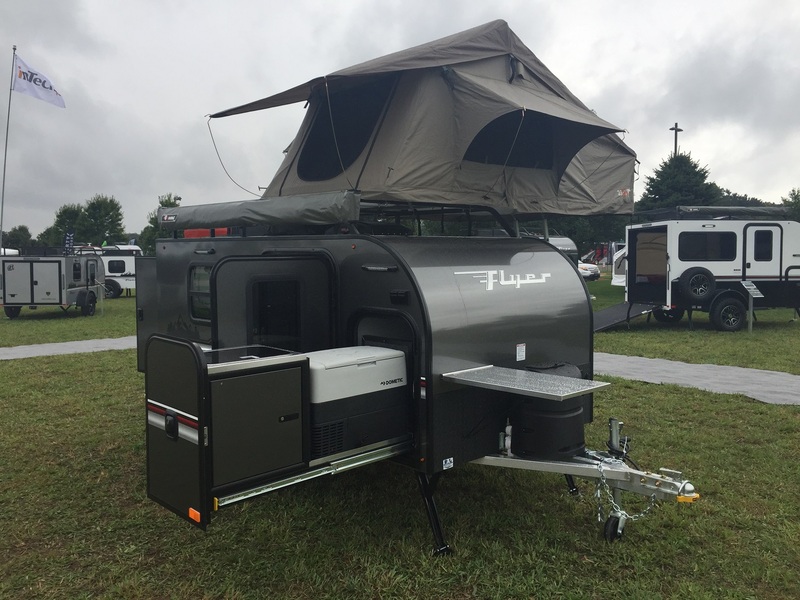 Construction-wise, the Luna fiberglass body sits on an aluminum frame with a fully welded cage, as do all inTech trailers, and offers a composite floor deck, which will be standard in the production models. The overall length is just over 15′ and weight should be around 1800 lbs, depending on options, with a 2200 lbs GVWR. 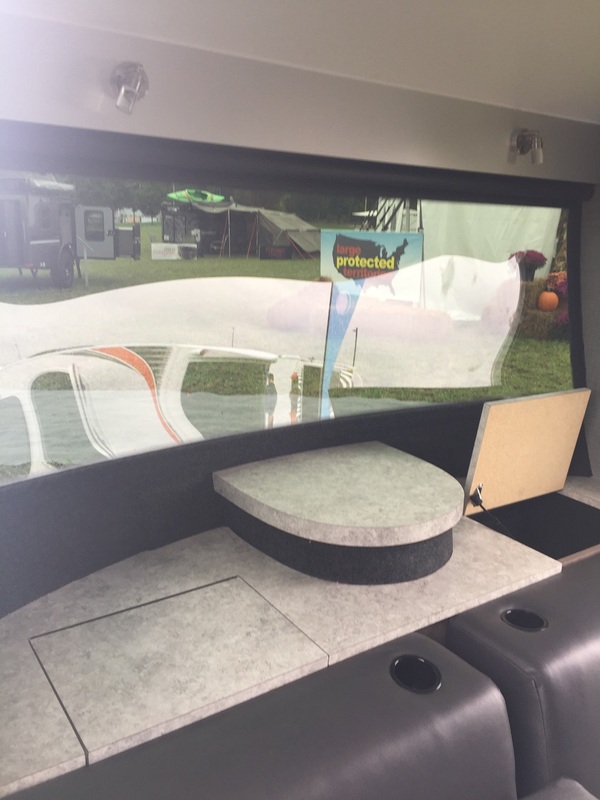 If you think Luna’s huge front window takes a cue from the Airstream Basecamp, that’s not a coincidence, as inTech’s Scott Tuttle told me that day. 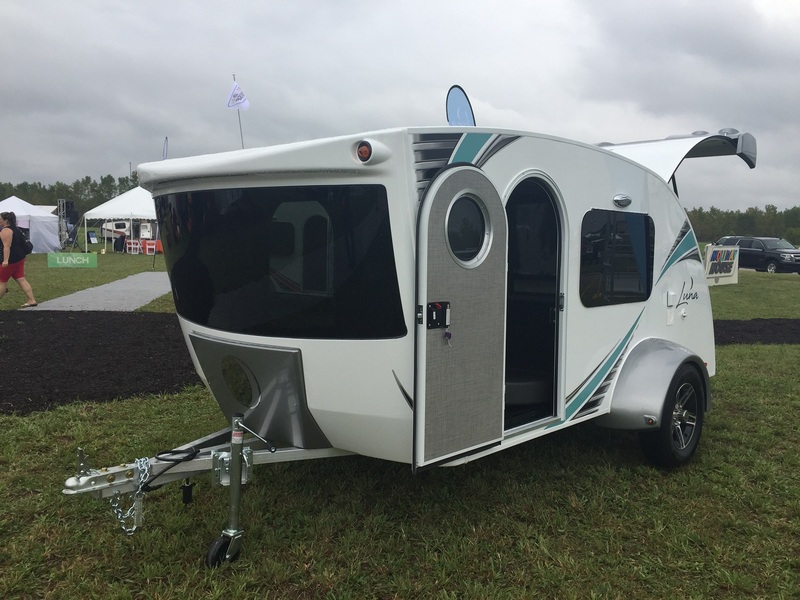 But unlike any other teardrop out there, the Luna offers a Cool Cat air conditioner/heat pump combo and a HUGE 40″ flat screen TV. The cushions are interchangeable to offer various seating configurations. And because the LP tank is enclosed in the front panel of the Luna, that creates a handy counter below the front window. 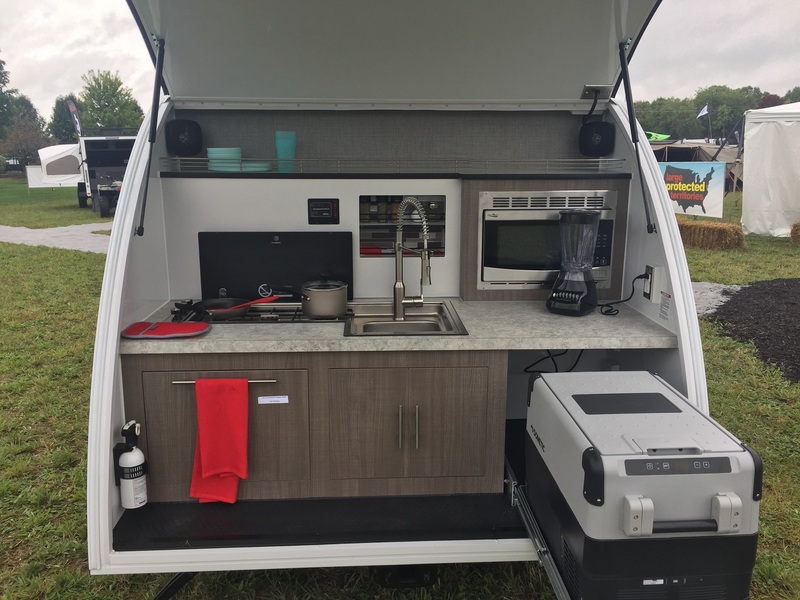 The galley area offers a 12 volt slide out refrigerator, and stainless steel microwave and sink with a pull down sprayer, as well as stove. Counter space looks pretty good for accessories and other “stuff” most teardroppers will bring along. Overall, I was quite impressed. It’s one thing to have a design that’s unique, but when you add a quality build to the mix, it raises eyebrows. There aren’t many Lunas out yet, as production is just now starting to ramp up, but expect an MSRP in the $20-22K range, depending on options. That said, you should see these picked up from the mid to upper teens depending on your location and dealer you’re dealing with. That does it for this installment from the Elkhart Open House. I realized there was enough just to do a single post on inTech, but I’ll have more posts coming soon!